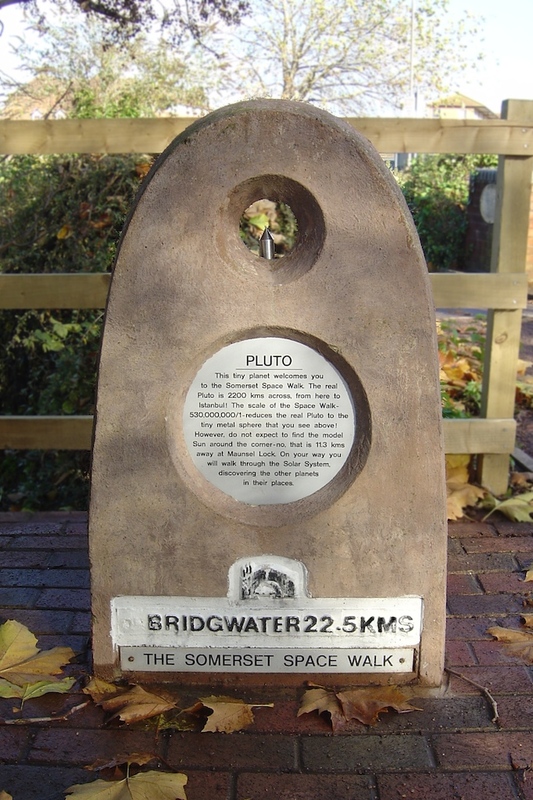 Somerset Space Walk, which is a scale model of the solar system laid out along the towpath of the Taunton and Bridgwater canal. 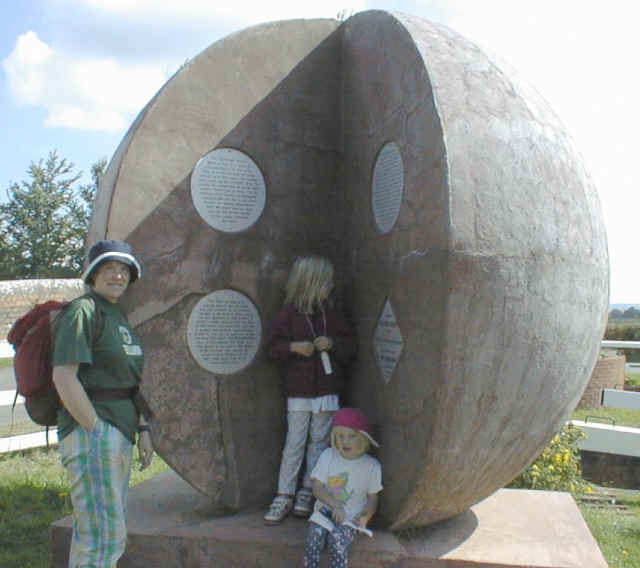 The ‘Sun’ is located at Higher Maunsel lock, between Taunton and Bridgewater, with models of planets extending along the canal for 11kms (6.8 miles) in each direction. 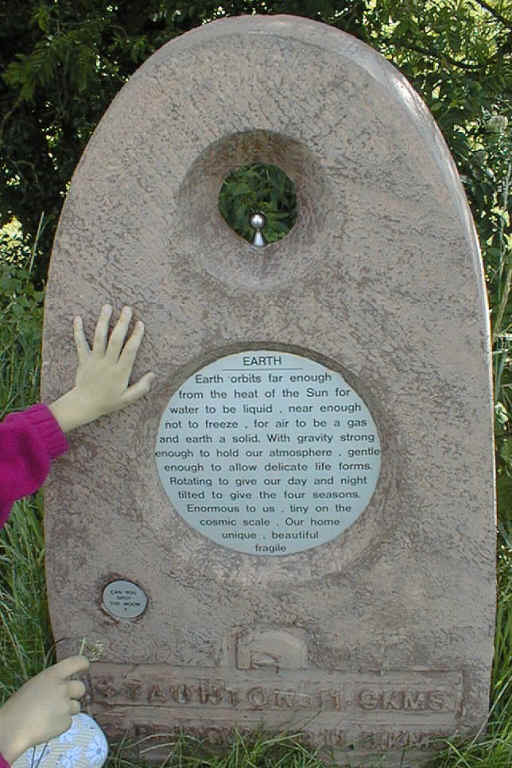 This is the model of the ‘Sun’, located at Higher Maunsel Lock. 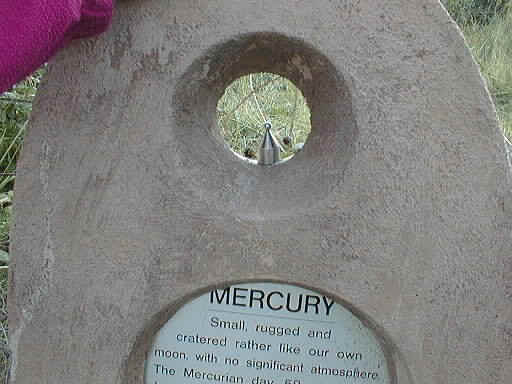 Even when we walked to ‘Mercury’, the innermost planet, the ‘Sun’ seemed a long way away! 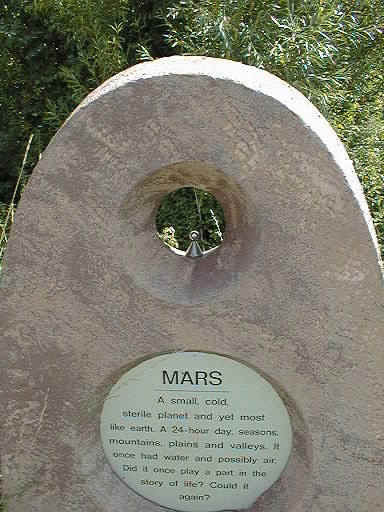 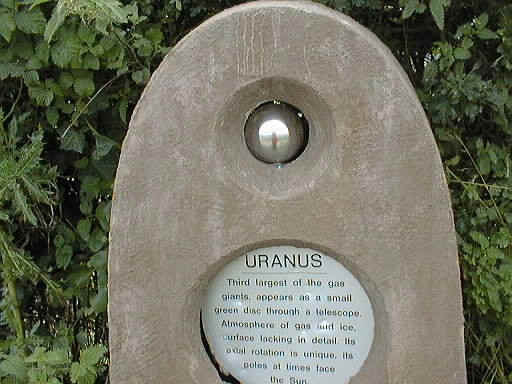 This plaque also shows the ‘Moon’ in true scale and distance from the ‘Earth’. 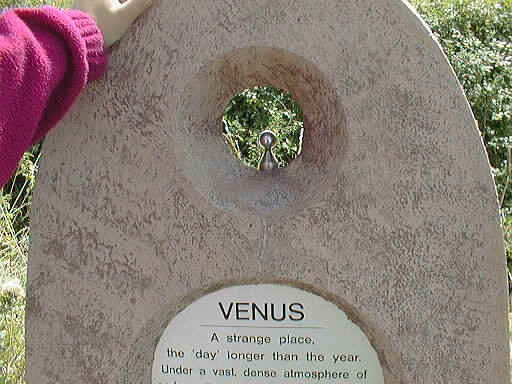 It is a tiny dot near Gemma’s knee that unfortunately is not really visible in this photograph. 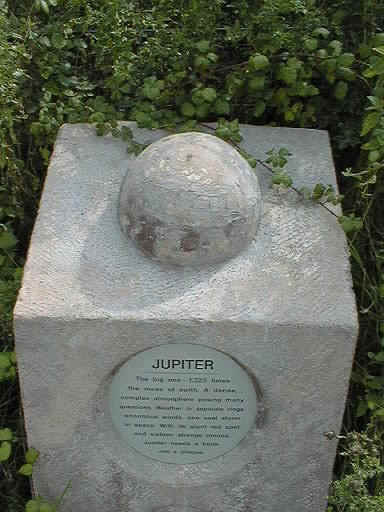 It was then a LONG walk to get to ‘Jupiter’! 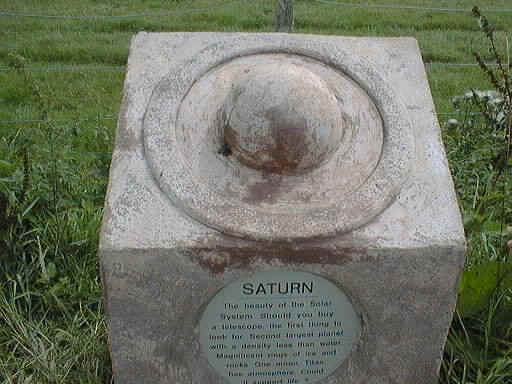 And quite a distance to ‘Saturn’ as well.